World famous wine writer Hugh Johnson, when speaking of the winemakers of the southwestern French wine appellation of Buzet, stated that "Domaine du Pech outclasses the field". 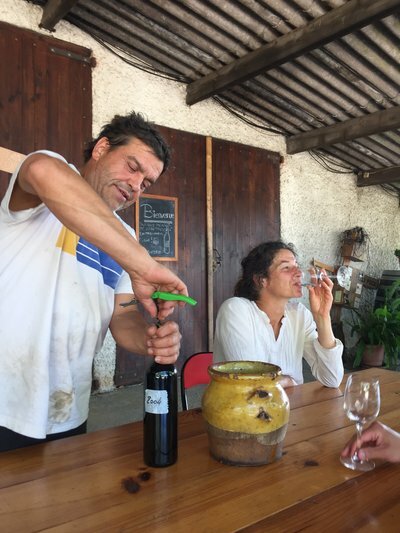 Domaine du Pech's wines are certified organic and biodynamic. They use medicinal plants and essential oils to treat their vines, no chemicals are used in the vineyard, and only indigenous yeasts are used during fermentation. Sulphur is used in very low amounts, if at all. Their average yields are very low, on average between 15 and 25 Hectoliters/hectare (the average yield in France is over 50 Hl/Ha). This ensures that they choosing only the best grapes to be used in their wines. The grape varieties used at Domaine du Pech are similar to those used in nearby Bordeaux: Merlot, Cabernet Sauvignon, and Cabernet Franc for the reds and Sauvignon Blanc for the whites. The quality of wine being produced at Domaine du Pech gives a taste of the best of southwestern France at a very reasonable price!